Cinemablographer: Which Film Will Be Canada's Oscar Pick? It’s been just under a week since TIFF rounded off the names of the Canadian titles that are set to play at the festival. The selections have left me pondering the prospects of these movies. I’m not musing on our own awards, mind you, since predicting the Genie nominations is like throwing darts with a blindfold. The question that I am left wondering after this announcement, then, is to ask which of these films will be Canada’s submission for Best Foreign Language Film at the Oscars. Best Foreign Language Film remains one of the trickiest categories at the Academy because the eligibility rules require countries to name a selection committee, which then chooses one film to represent the country at the Oscars. Selected films then go through a few hurdles before an Academy committee whittles them down to a shortlist of nine contenders, five of which become the final nominees. Although the category is admittedly flawed, the benefits that the race gives to the designated films are undeniable. Just look at the life that recent nominees Incendies and Monsieur Lazhar had above other French Canadian films that were eligible. (Especially the latter in comparison to the stronger 2011 film Café de flore.) 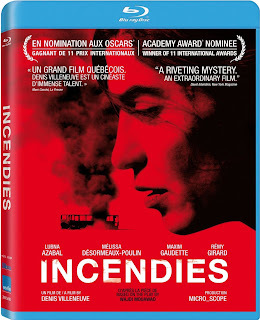 The Oscar brand is even a major selling point in Canada: for example, a glance at my Blu-ray and DVD for Incendies and The Barbarian Invasions, respectively, touts the film’s Oscar merit as the header on the front cover. The Blu-ray for Incendies doesn’t even mention that the film won eight Canadian Genies including Best Picture. At least Barbarian Invasions squeezes Genie in amongst the accolades list on the back. Incendies, The Barbarian Invasions, and Monsieur Lazhar are three good examples of films that gained steam at the Oscars by racking up wins at TIFF. Although TIFF has seemed like a bake-off for the Oscars in recent years, there is no golden rule that the Canadian entry must play at TIFF; however, if one compares the list of Oscar submissions to the list of TIFF favourites (see Appendix below), they usually match up. Of the past ten years of Canada at the Oscars (our strongest years so far), you’d find only one film that didn’t play at the festival of festivals: 2008’s The Necessities of Life (Ce qu’il faut pour vivre). That film fared pretty well without Toronto’s support, though, as it premiered earlier at Montreal’s Festival des films de monde where it scooped three of the top prizes and then made it all the way to the January shortlist at the Oscars. The success of The Necessities of Life gives time to note that it is not TIFF that selects Canada’s contender. 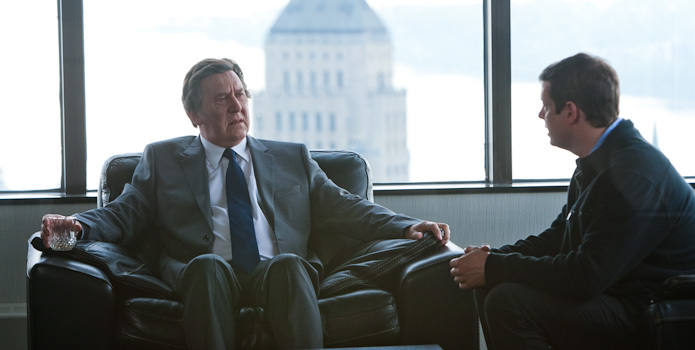 The body that names Canada’s prized pig is Telefilm Canada, a Crown Corporation that gives invaluable support and assistance to Canadian films and filmmakers. However, TIFF generally remains a top platform for Canadian films. A: The motion picture must be first released in the country submitting it no earlier than October 1, 2010, and no later than September 30, 2011, and be first publicly exhibited for at least seven consecutive days in a commercial motion picture theater for the profit of the producer and exhibitor. This technicality explains why some films are submitted in year’s following their festival debut. A one-off screening in Toronto does not equal eligibility. For example, Monsieur Lazhar had a quick qualifying run in Alberta in order to make the cut. 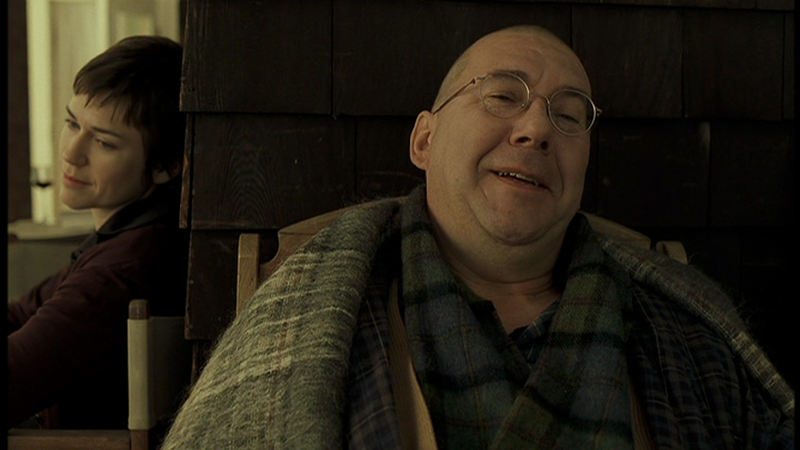 Our 2006 Oscar submission – and nominee – Water opened the festival in 2005, but did not receive its theatrical release until November and was thus allowed to compete the next year. Films from last year such as Nuit #1 or Le vendeur are therefore technically still in the running since they did not open theatrically until after the cut-off date. 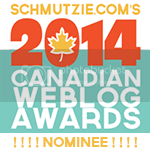 (God help us if it's Nuit #1.) There hasn’t really been a high-profile French Canadian film otherwise in 2012, so we can presume that the Oscar bait is somewhere on this list. 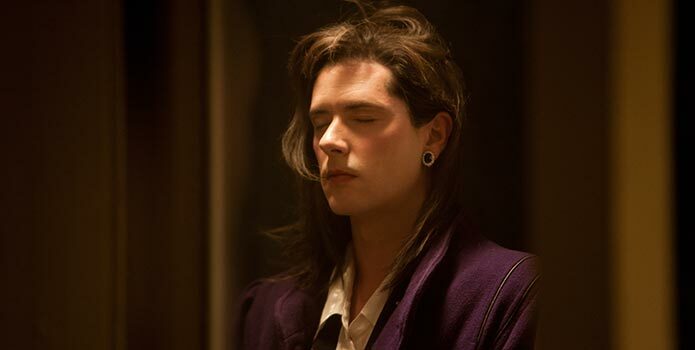 Synopsis: The third feature from Montreal's Xavier Dolan centres on a young bohemian couple whose defiantly exclusive relationship is sent spiraling when the man, Laurence, confesses that he believes he’s transgendered. This audacious and searing mediation on love and sexuality is shot in hyper-florid style and driven by gutsy performances. Québécois wunderkind Dolan represented Canadian in 2009 for his acclaimed debut I Killed My Mother. After dipping a bit with Les amours imaginaires (depending on who you ask), Dolan financed Laurence Anyways with the help of the Kickstarter-ish crowd funding source Touscoprod. Laurence then premiered at Cannes to mostly strong reviews and won the Queer Palme (Dolan’s second) and Best Actress for Suzanne Clément in the Un certain regard series. The film opened in Quebec earlier this year and continued to earn strong reviews. (See, for example, this 4-star review from Black Sheep Reviews.) Dolan has earned Canada (and Quebec especially) a lot of recognition for producing ambitious, high-quality art cinema since he took the festival circuit by storm in 2009, so he is probably due for another shot at the Oscars. Is it too soon for him to be back? Laurence Anyways has garnered strong support, but not quite on the scale of I Killed My Mother. Moreover, if Mother failed to make the Oscar shortlist, then Laurence – a 160-minute gender-bending opus – might not be the film to go all the way. On the other hand, the revamped selection process in the Foreign Language category has worked well for ambitious/alternative films (re: Dogtooth). Synopsis: A Quebec doctor discovers the heartbreaking absurdity of life in Israel's divided West Bank, in this intense, politically-charged drama from the producers of the Academy Award®–nominated Incendies and Monsieur Lazhar. Next to Midnight’s Children, this is the Canadian film that I’m most looking forward to seeing at the festival. Inch’Allah, produced by Kim McCraw and Luc Déry, is certainly one to watch given that its producers have swept the Canadian film awards two years in a row. Their status might hurt the film just as much as help it, however, if the panel/industry feels that someone else deserves a chance since the pair has been selected two years in a row. Their films were good choices, though, since they were nominated and probably came in second place on the final ballot. Inch’Allah does give Canada an opportunity to triumph a new filmmaker, since writer/director Anaïs Barbeau-Lavalette is relatively unknown. She has made one feature (the little seen Le ring), as well as some shorts and a mid-length documentary that appears as a bonus feature on the home release of Incendies. It looks as if Barbeau-Lavalette had Incendies in mind when she made Inch’Allah, for the film is another timely portrait of the Middle East. It could pale in comparison to Denis Villeneuve masterwork, or gain favour through comparison. 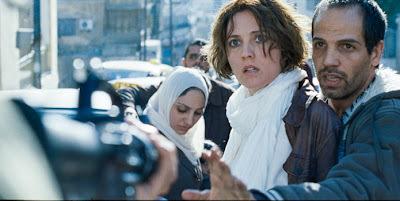 Inch’Allah might also appeal to fans of last year’s Café de Flore, since actress Evelyne Brochu leads the international cast. The film opens September 28, so it might just squeak in to eligibility if these all these factors work in its favour. I haven't found an embeddable trailer for Inch'Allah, so you'll have to watch it on the film's official site. 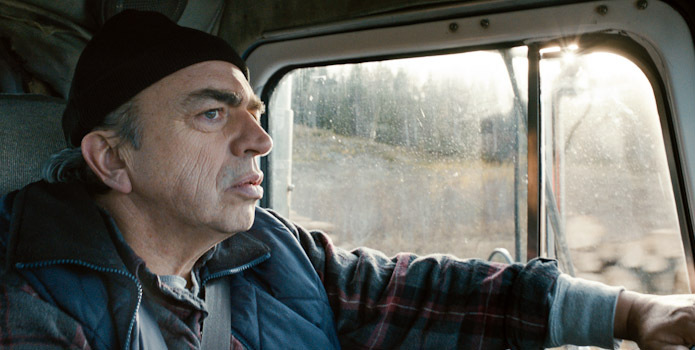 Synopsis: Montreal filmmaker Rafaël Ouellet returns to the Festival with this affecting, finely crafted drama about a working-class family that reconnects in the wake of a fatal road accident. Camion had its world premiere at the Karlovy Vary International Film Festival in June. It made quite an impression and won two prizes at the festival: Best Director and the Ecumenical Jury Prize. The rave review in Variety also offers some kind words that bode well for the kind of film that the Oscars tend to go for: “Confident helming, spot-on performances, and a closely observed look at a specific Canadian culture lend Quebecois multihyphenate Rafaël Ouellet’s fourth feature singularity and emotional resonance despite some familiar themes.” The film begins its theatrical run in Quebec this Friday, so we will have to see how it’s received over here. If the selection committee is aiming for something that looks extremely Québécois, Camion sounds and looks like a potential choice. Is Camion merely a “festival film,” or is it something more? Synopsis: An obsessed scholar attempts to withdraw from the world but finds personal ties drawing him back into the family he had left behind, in this novelistic, beautifully modulated drama from acclaimed Québécois filmmaker Bernard Émond. This film is one of the few Canadian titles of which I have heard relatively little in the days before or after its announcement for the festival. The film has intrigued me since I learned of it nevertheless and crept onto my already crowded wish list. Despite the fact that he did not begin to make films consistently until he was fifty years old, Bernard Émond is quickly becoming a grandmaster in Canadian cinema. He won a Genie for writing The Necessities of Life and his last directorial effort, La donation, was a favourite on the festival circuit and won a special citation from the jury at TIFF. Festivalgoers and Oscar watchers looking for a small-scale human drama might find a winner in All That You Possess. 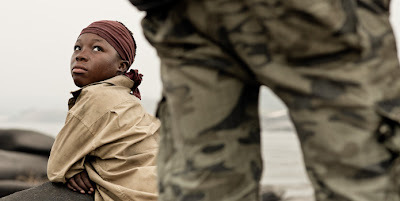 Synopsis: Kidnapped and forcibly inducted into a rebel army, a young girl finds herself haunted by premonitory visions in this heartfelt and helplessly moving portrait of a child soldier from Canadian director Kim Nguyen. Rebelle is an unexpectedly provocative Canadian film that feels just about as un-Canadian as possible. In an age when cinefiles north of the 49th parallel bemoan the current state of their home grown cinema talent, it is refreshing to see one writer-director think outside the box and realize that jingoistic, wink-wink depictions of the great white north are not essential for the purpose of, first, getting a film made and, second, getting a good film made. Variety, on the other hand, writes that the film might be a tough sell for audiences given the heavy material. I don’t think that anyone at the festival or the Oscars called A Separation or In a Better World a barrel of laughs. (Well, I might have on the latter for all the wrong reasons) We will have to see if the film has legs. War, young children, and a hand at sensitivity are all good ingredients for a festival film hit, though, so is Rebelle/War Witch the front-runner for Canada? What do you think? Does one of these films seem like a contender, or are you feeling something else hiding within the festival programme? So, you’ll note that half of Oscar submissions overlap with TIFF winners, and all but one are festival selections. (Léa Pool's Emporte-moi also pulled the TIFF/Oscar punch in 1999, if that helps me look less crazy.) However, five of the winners of the City of Toronto Award for Best Canadian Film are in English. Additionally, the credits of Deepa Mehta (and opening night, no less) and Denys Arcand might help explain some other choices, especially the blunder of submitting Days of Darkness. Therefore, can we assume that if a French language film wins at TIFF it will become our Oscar pick?